This is a debate I have long tried to avoid, but was finally roped into doing. I avoided it because I don't think the issue is debatable (as though there are good arguments on both sides). It's appropriate to discuss the issue of anarchy, of course, just as it is appropriate, say, to discuss Kant or Marx's ideas, but not to present the issues involved as debatable or as an internal disagreement among people who essentially agree. As you will see from the discussion, and in ... See More particular the Q&A, which I urge you not to miss, I view Anarchism as *evil*, on par with communism and fascism -- morally worse than, say, a run-of-the-mill professor advocating for the welfare state. By associating with this position, true pro-liberty individuals have discredited their position in the eyes of reasonable people. There is nothing important in common between Locke and the Founding Fathers, on the one hand, and the Murray Rothbard type anarchists, on the other. The former are good, the latter are evil. 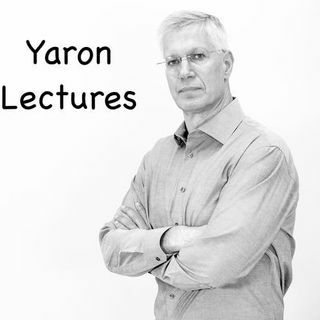 Yaron Brook and Dr. Lukasz Dominiak Anarchy vs. Limited Government. Hosted by Objectivism.pl, Societas et ius Foundation and recorded on November 18, 2018 in front of a live audience in Turon, Poland.